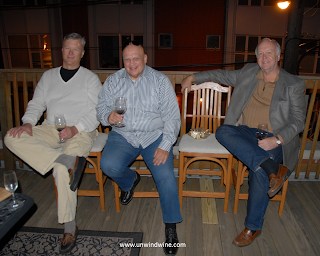 Lyle and Terry hosted the end of summer gala dinner featuring No-Name steaks grilled on the open air deck for our themed horizontal tasting of 2003 vintage Bordeaux. 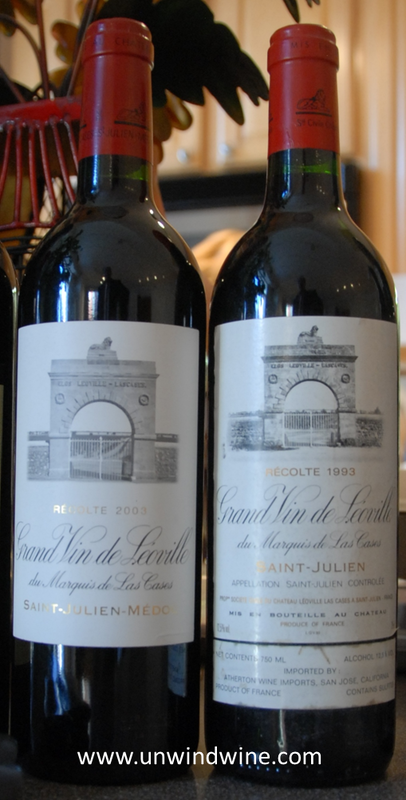 The Bordeaux flight consisted of nine labels including two 'super-seconds', four Grand Cru Classes, eight from the Medoc left bank and one Pomerol right bank. Against the cityscape views of Sears (aka Willis) Tower and the clock tower on the horizon, the pre course featured a broad selection of artisan cheeses, olives, and a myriad of crackers and biscuits. 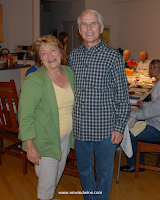 Highlights of the course were cold crab salad served with cracked black pepper and sea salt crackers, (and 5 others), and tasty grilled scallops served with a balsamic and soy sauce dip. The white flight started with vintage champagnes - Dan's 1999 Philippe Prié Champagne Cuvée Love Flowers Brut and John's 2002 Pol Roger Extra Cuvee de Reserve, Bill's Fantesca Sonoma County Chardonnay 2008, Dan's Geyser Peak Napa Valley Chardonnay 2000, and, keeping with the 2003 Bordeaux theme, I added a Chateau Bastor-Lamontagne Sauterne 2003. Steaks served with Bordelaise sauce or Gorgonzola butter with snipped chives or horseradish. Pans of Terry's Terrific Taters. Sautéed Portabello mushrooms with Bordelaise Sauce. Smokey asparagus with mushrooms and bacon. Zucchini Ribbon Salad with a lemon vinaigrette. As good as the starters and dinner with their accompanying wine flights were, a highlight of the evening was the dessert course featuring a selection of Ghirardelli chocolate squares, a delicious Mandarin Orange Cake with whipped cream, Terri's grand decadent Cherry Chocolate Fudge Cake with fresh raspberries, all accompanied by two spectacular wines, John's Cayuse Vineyards Walla Walla Valley Cailloux Vineyard Shiraz 2007 and finishing with Lyle's Fonseca Guimaraens Vintage Port 1991. John brought this limited release vintage Cuvee Reserve Champagne from Pol Roger. Silvery and golden yellow straw-like colour, silky smooth, crisp bright and full of intensity, a nose of fresh honey, candied citrus grapefruit and lime - full and long fresh clean texture, harmonious and balanced. Aged for nine years before release. 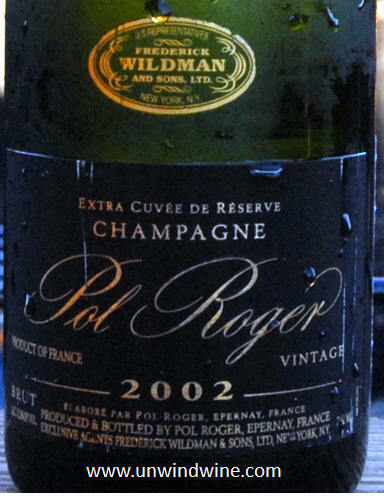 We saw Pol Roger Winery in Epernay during our Champagne Wine Experience 2006. 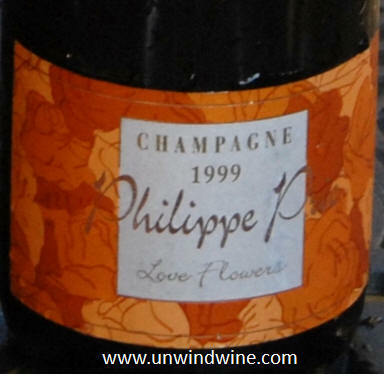 Dan brought this vintage 1999 special bottling Champagne from the Côte des Blancs, two hours south of Epernay on the Côte Des Bar where the plains of Champagne transition to the rolling slopes of Burgundy. Golden brownish weak tea colored, complex, full flavored, forward pallet and long finish slightly smokey roasted nut, baked apples and pears, pineapple, dried fruit and citrus. In keeping with the 2003 Bordeaux horizontal theme for fun but not for comparison tasting, this Sauterne provided a nice transition from the Champagne course to the Chardonnays, although many would've preferred waiting till the after dinner course. To me, there is always time for a 'sticky', this was great with the artisan cheeses, olives and of course the grilled scallops. Its 50 hectares of vineyards border those of Château Suduiraut and are planted with 80% Sémillon and 20% Sauvignon Blanc. Medium to full-bodied and packed with lusciously sweet, honeyed fruit, Bastor Lamontagne can be drunk young, though develops further complexity with 5-10 years of cellaring. Its always fun to watch these sweets darken in colour with age, starting from straw to lemon or butter color, to honey colored to weak tea and over time eventually turning to cola colour if you and they live or last that long. 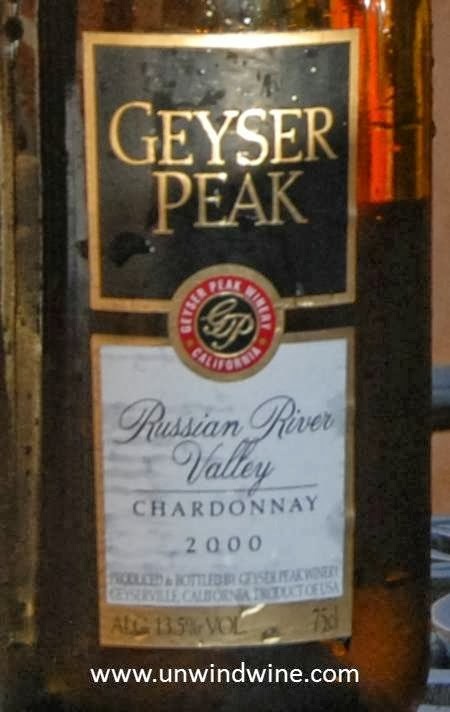 This ten year old was honey colored, medium to full bodied, rich unctuous full flavors of sweet peach, hint of apricot, citrus, grapefruit and ripe sweet pear on the finish. 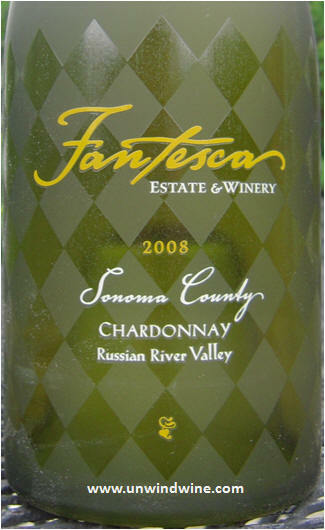 Fantesca is featured regularly in this blog but usually for their estate bottled Spring Mountain District Cabernet Sauvignon. Tonight, Bill brought their notable Sonoma County Russian River Valley Chardonnay, the first such wine produced by legendary consulting winemaker Heidi Barrett. Bill and I tasted this selection during one of our visits to the fantastic Fantesca Estate, this time during our Napa Valley Wine Experience 2008. 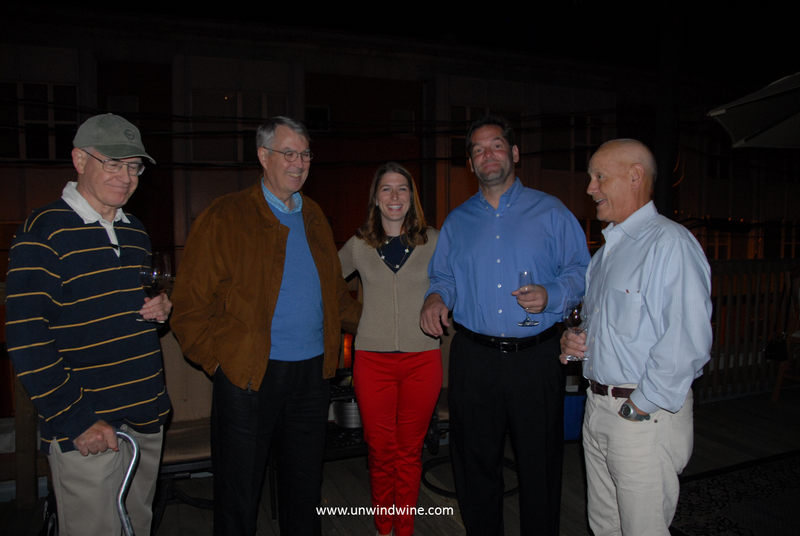 It was acquired through the Fantesca wine club. Bill's notes from Cellartracker - "Golden straw color in the glass. Some oak on the nose belies the abundance of citrus and butter on the palate. Exceptionally well balanced with a hint of vanilla. 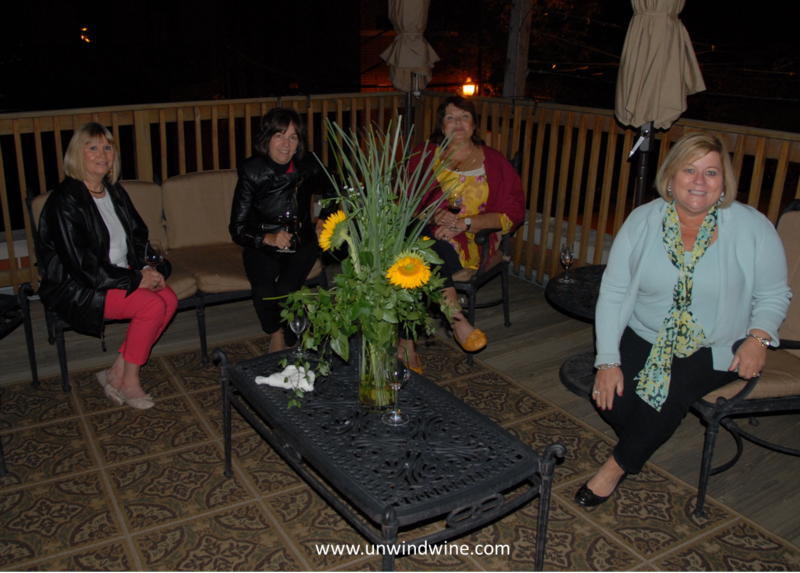 Our favorite chardonnay." Dan brought another Russian River Valley Chardonnay. 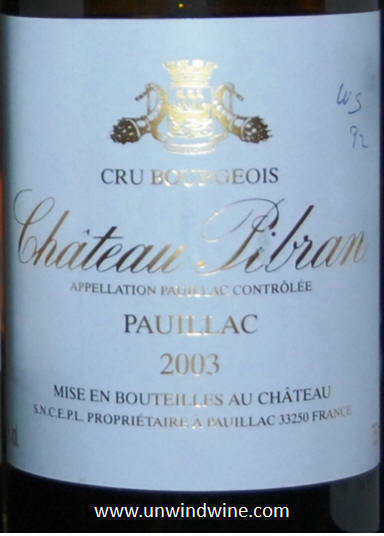 Eric brought this sole representative of left bank Bordeaux from a property situated between prestigious Petrus and Lafleur. He sourced this at Kahn's Fine Wines in Indy. This was one of the favorites of the evening, starting the flight lineup with its smooth soft easy drinking high achiever. Deep ruby purple color, medium to full bodied, full aromatic bouquet of blue and black berry fruits accented with nicely balanced, concentrated smooth polished fruit flavors with hints of anise, soft sweet spice with a lingering moderate tannin finish. Ernie and I teamed up to offer this mini vertical tasting - he brought this '03 to fill out the horizontal and I brought the '93 below. This 'super-second' (growth) is one of my favorite Bordeaux wines with its classic label depicting the gates to the expansive vineyards that sit adjacent to classic first growth Chateau Latour in neighboring Pauillac. At ten years of age, we probably drank this bruiser ten or even twenty years too early but it showed very well and was quite approachable and expressive none-the-less. Bright ruby colored, full bodied, big, aromatic vibrant flavors of ripe berries, ripe cherry, anise, spice, hints of vanilla and smooth sweet oak on a full lingering moderately firm tannin finish. RM 93 points. 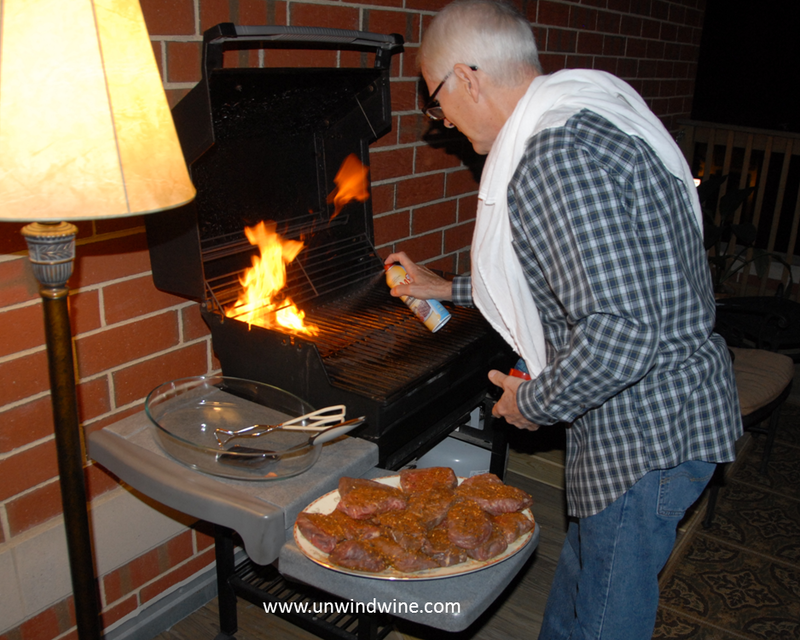 Wine Spectator rated this wine 97 points, RP 93 points. 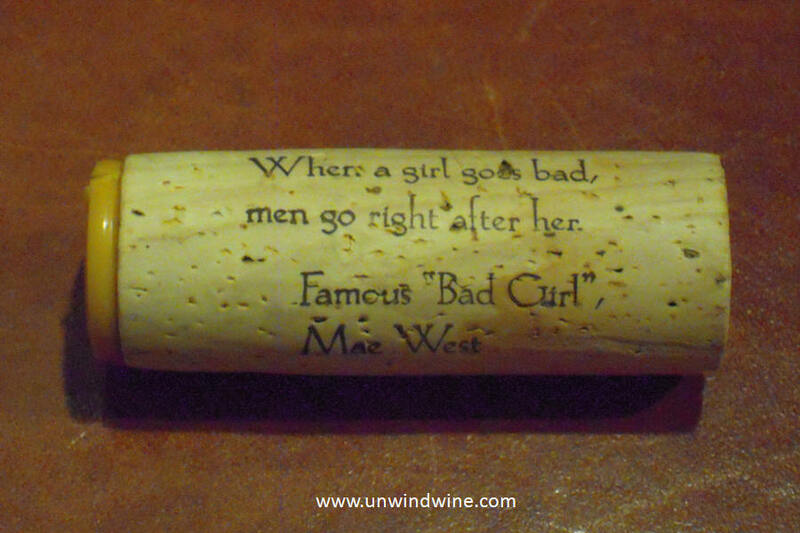 (13.2% alcohol) A blend of 70.2% Cabernet Sauvignon, 17.2% Merlot, and 12.6% Cabernet Franc. This is the last bottle of my case of 93 and I realize I drank much of it too soon. And we drank this bottle too early (after opening) as it was still a bit closed and subdued this evening. The following evening, it burst with full aromas and flavors of floral, black fruits, dark spicy mocha, cassis and earthy leather. Dense, medium to full-bodied, dark inky purple colored, nicely balance and concentrated with smooth polished lingering tannins. 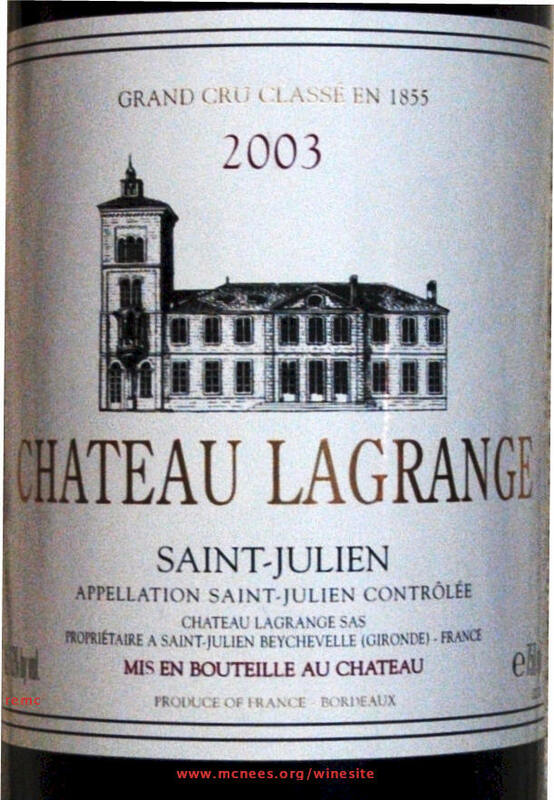 Dan and I each brought this wine which showed bigger, more full, nicely balanced, smoother and more polished than I expected, one of the best LaGrange I have tasted. Medium to full bodied, dark inky purple colored, aromas and flavors of black berry, black cherry, violet floral with hints of coffee bean, mocha, tobacco and earth with soft smooth lingering tannins. From a blend of 57% Cabernet Sauvignon, 33% Merlot and 10% Petit Verdot. 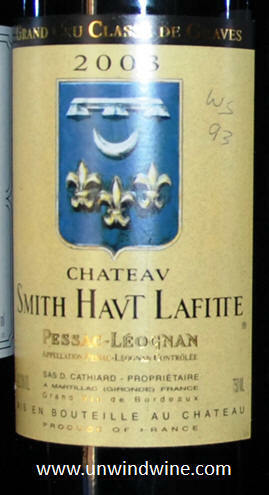 From Lyle's cellar this full bodied, dark garnet colored, this was full bodied, a bit tight and firm with black berry and black currant fruits, lead pencil, licorice, cigar box, herbs and cedar. This comes across with a bit of a woody almost slight green grassy taste that I can't get over. This was consistent with my other tastings and other vintages of this wine. My experience isn't consistent with others' tastings and ratings. 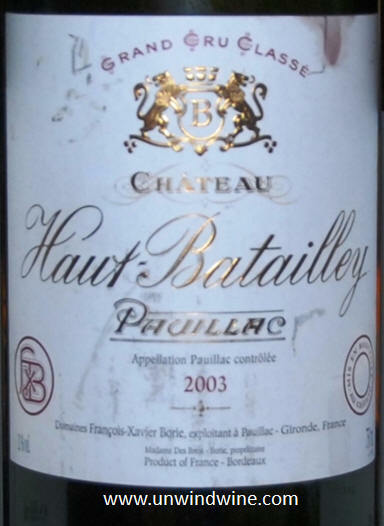 This was rated 93 points by Wine Spectator and Ranked #58 in their Top 100 Wines of 2006. Robert Parker gave it 92 points. Blend of 55 % Cabernet Sauvignon, 30 % Merlot, 13 % Cabernet Franc, and 2 % Petit Verdot. From the same owners as Grand Puy Lacoste, this property is a source for classic Pauillac at a reasonable price. This was an stand-out easy drinking high achiever for the evening. Deep garnet color. Moss, mushroom and some dark fruit on the nose initially, giving way to sort of a metallic, terroir based aroma. Currant, plum and dark berry on the palate with a bit of oak. Well balanced with integrated tannins. This is drinking very well right now. Will certainly last 10 more years but why wait? Don't believe it will get much better. My notes - Medium - full bodied, vibrant and expressive blackberry and currant fruit with a layer of cedar and spicy oak. Blend of 70% Cabernet Sauvignon, 28% Merlot, 2% Cabernet Franc. Another selection from Lyle's cellar, one of the few Cru Bourgeois in the commune of Pauillac. Despite the low level of les Bourgeois, this provides a pleasant easy drinking glass of Bordeaux. Medium bodied with aromas and flavors of black cherry, plum, hints of tobacco, cedar, and black olives with a bit of heat on the lingering moderate tannin finish. From Ernie's cellar, another consistently highly rated long lived Bordeaux from a vineyard on the plateau of Pauillac across the road from classic first growth Mouton-Rothschild. This is a classic Pauillac-styled wine and one of the highest rated of the vintage. This long lived brute was surprisingly approachable at ten years, moreso than other near vintages, and should continue to be at its prime for another decade or even two. Dark inky purple, full-bodied, dense and concentrated with layers of complex fruits - black currant, black berry and black raspberry with a layer of cassis, smoke, cigar box and toasty oak on a firm but approachable lingering tannin finish. 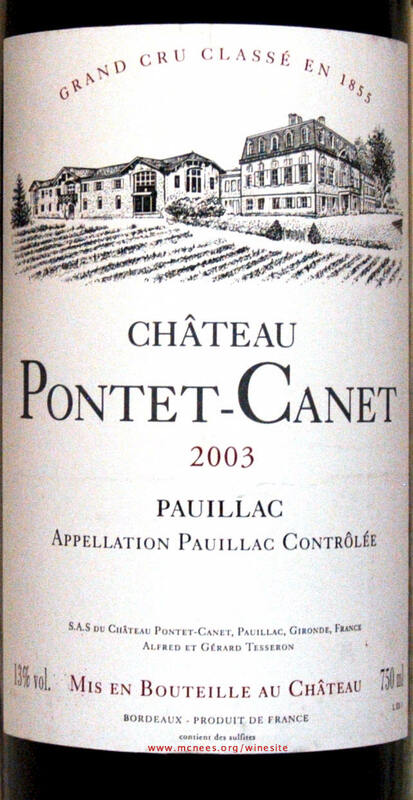 Parker gave this 95 points while Wine Spectator rated it # 39 in its Top 100 Wines of 2006 with 93 points. Inky, opaque, deep purple color. Dark fruit and pencil lead on the nose. Blackberry, leather, herbs and a bit of cola on the palate. 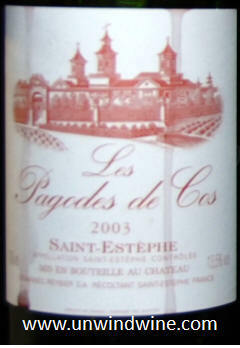 Certainly representative of St. Estephe and the Cos d'Estournel heritage is evident albeit a lighter weight version. Nothing earth shaking here but a really nice, drinkable Bordeaux showing well now. My post - Full floral violets, earthy black cherry, black raspberry with hint of leather and pencil graphite. In the left bank Bordeaux style, this is two-thirds Cabernet Sauvignon and one-third Merlot, all sourced from the estate’s DuBrul Vineyard. Dark ruby colored, medium bodied, it fit the profile of the left bank Bordeaux although it was lighter and less structured than I might have expected, perhaps suffering to the inevitable palate fatigue of the end of the long flight. Aromas and flavors of black cherry and black currant with subdued tones of cassis, mocha and spice with muted earthy leather on a moderate tannin finish. RM 90 points. WS gave it 95, WE 94pts and WA 91. Pity the folks that considered this a wine to be part of the dinner flight, this was suited for the dark chocolate desserts and more. A perfect set up to the Vintage Port. Pairing this up against the Bordeaux is like bringing a gun to a knife fight. John offered up this classic Washington State Syrah from his cellar. What a treat. This was Linda's favorite. Cayuse is the work of Frenchman Christophe Baron who grew up near the village of Charly-sur-Marne in the Champagne region of France, the youngest of the centuries-old Champagne house, Baron Albert, his ancestors had worked the land since 1677. After studying viticulture in Champagne and Burgundy, Christophe set off for America, landing in the Pacific Northwest the region similar to Burgundy and suitable for his beloved Pinot Noir. While visiting Walla Walla near the Oregon/Washington border, he came across an open field littered with acres of softball-sized stones. 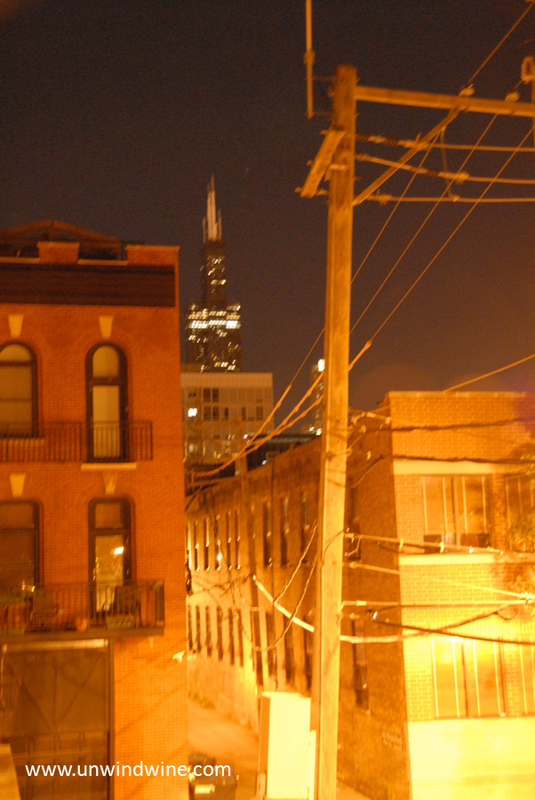 The terroir reminded him of the cobblestones of the southern Rhone valley and Châteuneuf-du-Pape. 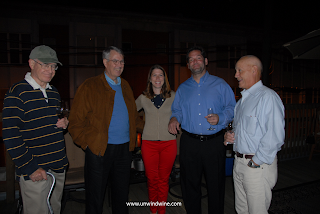 Christophe purchased the property and planted his first vineyard in 1997. He called the venture Cayuse Vineyards, after a Native American tribe whose name was derived from the French word “cailloux” which means “stones.” Today there are seven vineyards, soon to be eight, encompassing more than 55 acres. 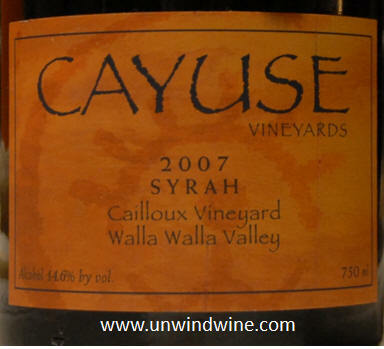 Cayuse produces classic Syrah based big rich powerful wines under a dozen iconic labels. This Cailloux Vineyard Syrah was full bodied, rich, concentrated, complex and powerful, an array of aromatic floral, dark chocolate and licorice, leading to thick chewy dark berries before turning to a layer of tar and black pepper on a firm lingering finish. Harvey Steiman of Wine Spectator and David Schildknecht, The Wine Advocate gave this 95 points while Jay Miller gave it 97 points. 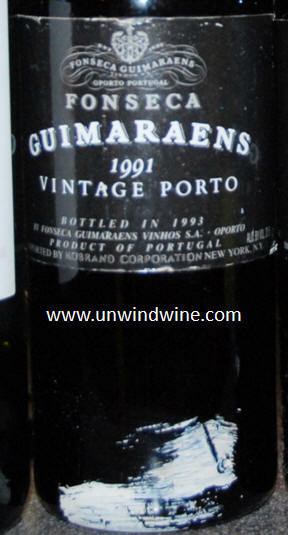 Lyle's selection, the 1991 Guimaraens was considered one of the best of vintage. Medium - full bodied, opaque purple color, smooth, polished, supple, rich with sweet forward full aromas and flavors of blackberry with layers of cassis, licorice, a hint of dark mocha and flowers. This was was silky smooth, pleasant and amazingly easy to drink - even for those that are not port lovers who otherwise consider it 'over the top'. This must be at its apex now - at the prime of its drinking window. This was a perfect complement to the dark chocolate desserts. RM 93 points. 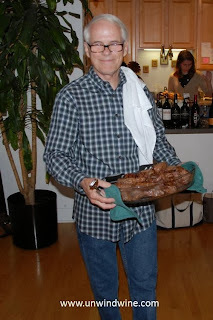 Robert Parker Wine Advocate and Wine Spectator 93 points.